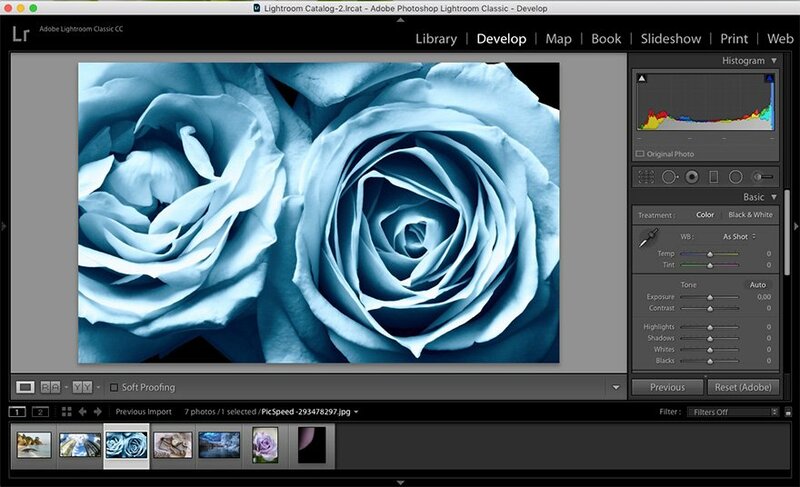 Lightroom vs Photoshop: Which is the Right Tool for You? If you’re a web designer, you might be used to working with Adobe Photoshop. It’s a powerful tool for creating a website design or any custom graphics for websites, such as background images or patterns. But over the years Photoshop has become about a lot more than simply editing photos. 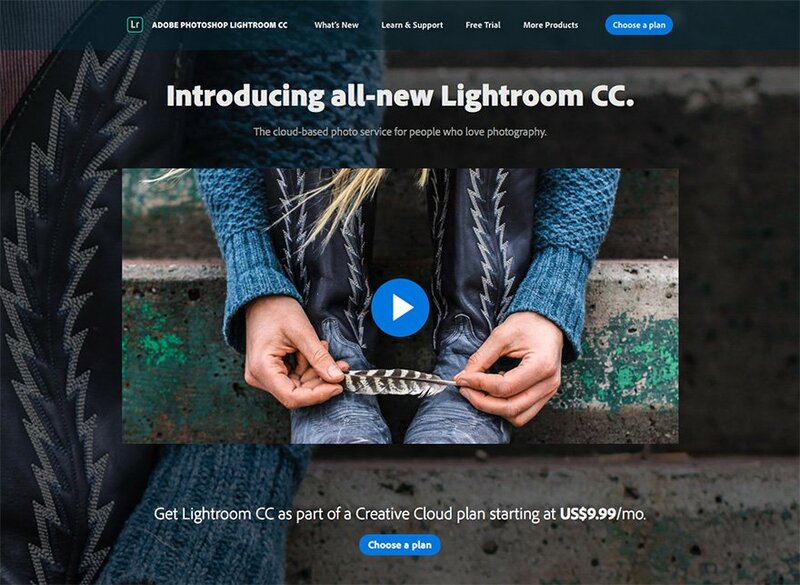 Creating a narrower photo editing only niche which Adobe, the creators of Photoshop, recognized and created a whole new app for called Lightroom. So which should you learn and use? In this article, we’ll compare the two apps and highlight use cases for each one so you can decide which is the best tool for your situation. Adobe Photoshop originally started out as a simple photo editing software. 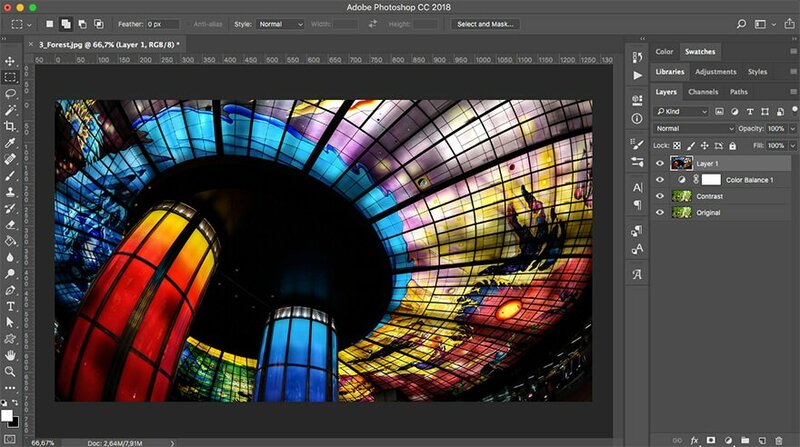 With the addition of Adobe Bridge and Adobe Camera Raw, that simple editing software turned into a veritable powerhouse when it comes to photo editing. And, thanks to a plethora of other tools available in Photoshop, photographers can create powerful photo manipulations and fine-tune photos down to the last detail. Over the years, Photoshop’s intended use expanded and nowadays the software is used by different types of creatives and hobbyists, alike. It’s not only used to edit photos, but also to create animations, digital paintings, 3D art, and more. Given Photoshop’s popularity, it’s no wonder its name became a verb synonymous with photo editing and manipulation. 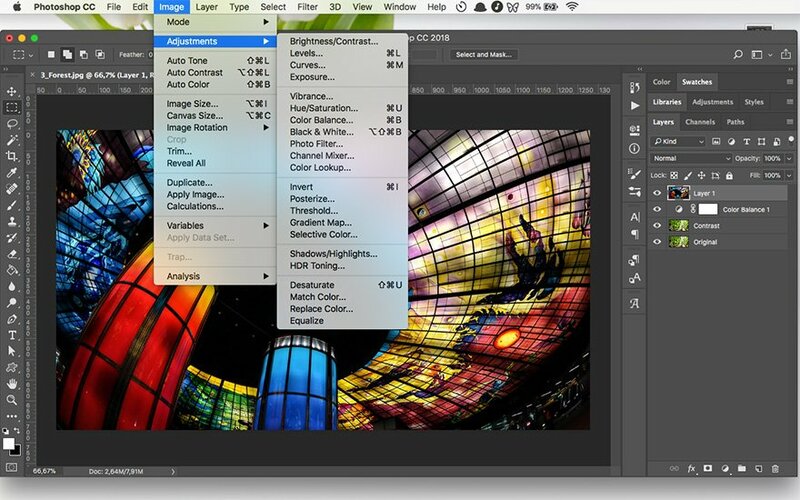 The ability to work with layers: You can create multiple layers in Photoshop. This means you can apply different adjustments on different layers or edit multiple images within the same document. You can modify each layer independently. So, you can always go back and edit them later. Thanks to this ability, you can blend layers in interesting ways, mask parts of the photo, and more. The ability to use actions: Actions are a powerful addition to any workflow. You can record several editing steps, save it as an action, and re-apply every time you want to achieve a particular effect. You can combine steps such as resizing an image, applying color adjustments, and adding gradients. The options are limitless. Control over the smallest details: Since Photoshop is a raster program, every image opened or created in it is comprised of pixels. You can make edits even at the pixel level which allows for pretty powerful manipulations. New features with each major release: New photo editing features are included with each major release. This includes tools such as content-aware fills, automatic panoramic image stitching, numerous photo filters, and others. Lack of built-in RAW editing: To edit and manipulate RAW files directly from a camera, you need to use a separate plugin. Why was Adobe Lightroom created? As a response to an increase in digital photography and the need to have software with a dedicated set of tools and features. At first glance, Lightroom looks like it shares many similarities with Photoshop. Although Lightroom is considered primarily a photo editor, you can batch import photos, organize them into folders, find them with the help of specific keywords, and export them with ease. One major difference between the two apps is the way they handle file saving. If you want to manipulate multiple photos with Photoshop, you can either save each photo as a separate PSD file or as one PSD file with multiple layers for different photos. This is helpful if you want to preserve the ability to go back and tweak the changes you made. As a result, the PSD files can often get quite large in size. With Lightroom, all of your photos are saved in a Lightroom catalog which keeps all the edits you’ve ever made to a photo. Those edits can be undone at any point in time, even months after you’ve made edits. 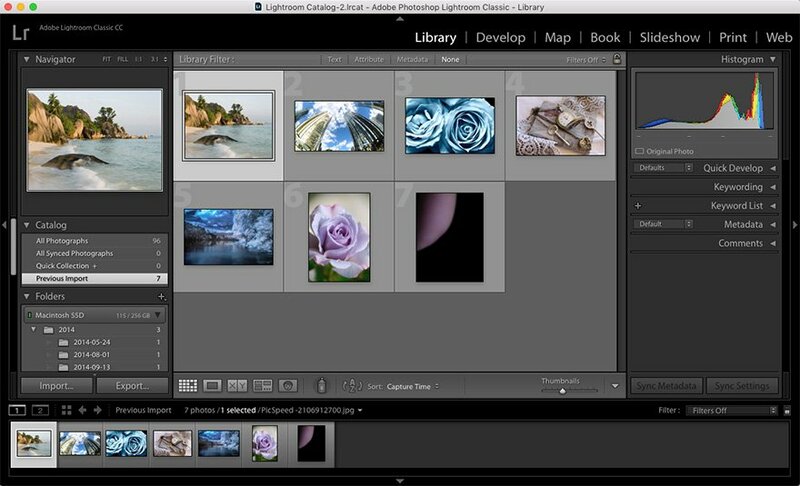 The Lightroom catalog keeps a history of all changes made. However, the file size of your Lightroom catalog is a lot smaller than an individual PSD file. Built-in RAW editing: Unlike Photoshop, you don’t need a plugin to edit the RAW files from your camera. Simpler and faster way to edit photos: Lightroom doesn’t have as many tools and features as its big brother Photoshop, which makes it simpler to use and faster when it comes to doing simple edits on hundreds of photos. A large number of presets: Similarly to Actions in Photoshop, Lightroom includes a set of basic presets that control exposure, contrast, white balance, and more that can be applied to photos with a click of a mouse. There is also a large selection of presets available online. No advanced editing tools: Most of the editing functions you’re used to seeing in Photoshop aren’t included. If you need heavy image editing, Photoshop is a much better choice. No layers: While layers are one of Photoshop’s most powerful features, they are non-existent in Lightroom. If you want to use blending modes, you’ll have to export your image to Photoshop and then import it back to Lightroom to continue editing it. Adobe Photoshop or Lightroom: Which One Should You Choose? If you’re a web designer, you’re probably wondering which tool you should choose. The answer, of course, will largely depend on how often you need to edit photos and what type of editing is needed. Personal preferences come into play as well. However, let’s take a look at the similarities and differences between the two and some use cases for each of these apps. Both Photoshop and Lightroom can edit and manipulate photos, however, there are some similarities and differences between the two. You can tweak and enhance photos using both apps. Both apps can handle different formats such as JPEG, PNG, and TIFF as well as RAW. You can find basic editing tools like cropping, white balance, lens distortion, curves, healing, and others. Both apps include various photo filters. Editing tools. Photoshop undoubtedly has more tools that allow you to perform more complex edits. These include brushes, blending modes, more filters, and others. Workflow. When it comes to importing, organizing, sharing, getting photos ready for print, and exporting them, Lightroom is a definite winner. It allows for a certain level of automation. This should always be welcome if you don’t want to spend hours editing hundreds of photos. Photoshop is a great choice if you need to do complex editing such as removing unwanted objects from an image, any compositing and blending, editing images with masks, and so forth. In other words, if you want complete control over your photos and the finished result, use Photoshop. For instance, you can add gradients and text to social media or blog post images. Combining photos together or removing objects from photos before using them are also examples. Lightroom, on the other hand, allows you to process a large number of photos a lot faster than Photoshop. Thanks to presets, you can apply the same adjustments to each photo and have a consistent look. Not to mention, a consistent workflow. Let’s say you want to achieve consistency between product images for an online store. You can adjust brightness, exposure, saturation, and other settings on photos all at once. Both Lightroom and Photoshop are powerful tools when it comes to editing photos. Even though you might be more used to working with Photoshop, you can always try adding Lightroom to your workflow. Especially, when you need to do smaller tweaks to several photos at once. 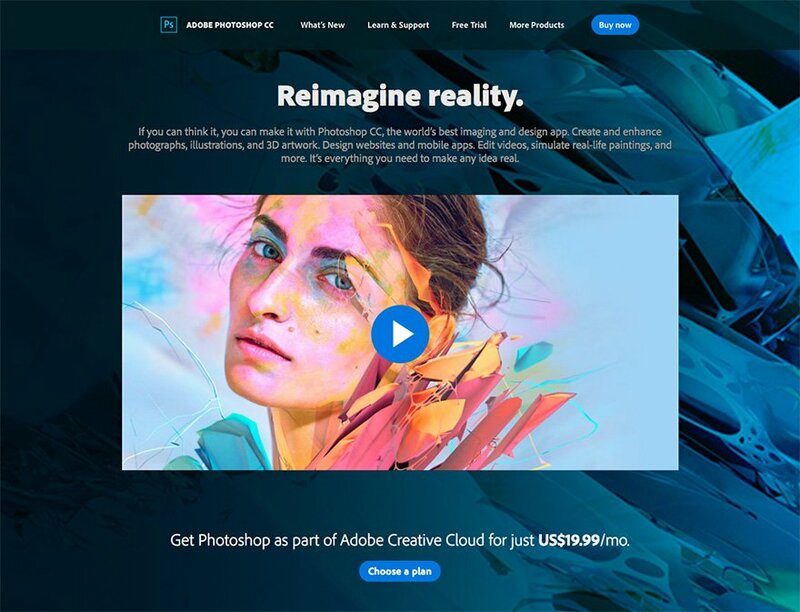 With Adobe’s pricing model, there is no reason not to try it and see if it fits your needs. Will you try Lightroom? Leave us your thoughts in the comments below! this review is absurd. Lightroom and Photoshop are done for 2 differents works. A nicely balanced article that weighs up each well. Thank you. I personally use both Lightroom and Photoshop and have done for many years. Some people may find the cost prohibative in which case a very useful alternative is Affinity Photo or Affinity Designer. These are much cheaper, can handle the Photoshop PSD files and provide the same tools and features as Photoshop. After using Photoshop for almost two decades, I became frustrated with it and went searching for alternatives. I recently switched to Affinity Photo and am very happy that I did. I find it faster and smoother in day to day use. Most things work as you would expect in Photoshop, but the preview function alone makes it totally worth the switch. Being able to rapidly preview what different filters would do to a picture without committing to a render lets me try out many more ideas than I would ever have had the time for in Photoshop. And the icing on the cake is it’s only $49.99. No monthly billing like Adobe. Buy it once and use it forever. Amen to that. After I switched to found Affinity Photo and Designer, I never looked back. It is what Photoshop would be without all the bloat and ridiculous subscription pricing. One major flaw in Affinity Photo though, compared to Photoshop with Camera Raw, is that Raw editing is final/’destructive’ in Affinity Photo where Camera Raw simply adds a sidecar file to the Raw file and you can make modifications at any time. Serif has done a great job, don’t get me wrong, but there are features missing in both Photo and Designer that severely limit the software’s capabilities to the point I can’t completely move away from Photoshop and Illustrator. For the money, it’s probably the best you can get, especially if you don’t need the more advanced features of Adobe’s offerings. Thank you for this article. I’m been considering Lightroom and this gives me some more info for this decision. I’m a huge fan of the speed and batching functionality of Lightroom but I shoot 100k + images a year. But they are very different programs and each has it’s own purpose. If you are Mac user, you can use GIMP for free. I don’t work with photo’s all day but for the occasional photo edit and it has layers, lots of color and text options. As a small business owner I tend to use free utilities mostly. It would be GREAT if ET Blog did a few articles on FREE ASP services and software for us to work with that didn’t cost anything. Affinity Photo is the new photo manipulation software for today’s audience and makes Photoshop look tired, old, and slow. It has none of the bloat and all of the functionality built for today’s user. And the price cannot be beaten at a flat $49.99. No subscription model. No cloud service. Just a solid piece of the software that makes it easy to get the job done. I use both. As mentioned in the article use Photoshop if you want to add other elements to the photo or you want to create graphics you want. What I use for Lightroom is enhancing my photos in a quick way, where you can also use it for export if you have a batch of images you want to have on your website. With the right setting, optimize batch images will do. lightroom is for photographers not web developers. Wrong comparison. Web designers, which often blur the lines of web development, use photographs all the time. Thank you for great comparison article. If you want to edit graphics, you should use Photoshop, but if you are going to edit photos, Lightroom will be the right choice for you. I’d have to agree with all of the Affinity users here. I am tired of all of the subscription model software out there. Affinity works well and yes it has a fever features than Photoshop and Lightroom but unless you’re processing thousands of photos per month Affinity is most likely the only software you need.